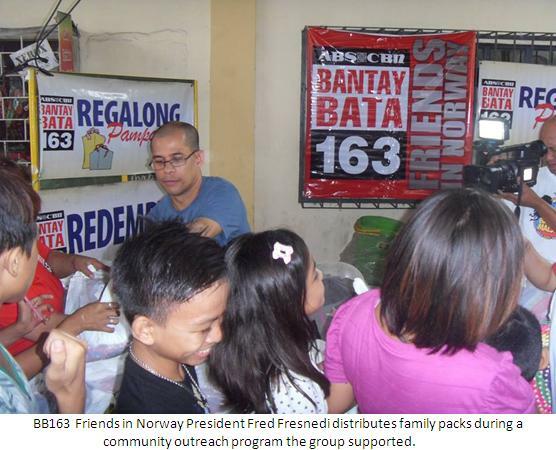 Ronald Fresnedi, the President and Founder of Bantay Bata 163 (BB163) Friends in Norway, was watching The Filipino Channel (TFC) at the comfort of his home in Oslo, the capital of Norway, when he saw a video clip about a sick child who needs help with hospital bills. The story touched his heart. With the comforts he enjoys in the place he already called home, he knew that he has the moral obligation to reach out to those in need in his homeland. He went around telling his friends and relatives about the child’s condition and asked everyone to help. With the help of his sister-in-law Joy Fresnedi, the group’s Vice-President and Assistant Founder, and six other friends, they organized a small fundraising event for the benefit of that child. It was attended by a few friends and they were able to raise a decent amount. They immediately transferred the funds to ABS-CBN Foundation’s account. That was in 2005. Eight years later, the group is still helping the children of BB163. From eight individuals, their volunteers grew to 35. Ms. Fresnedi says, “We all share the desire to help the less fortunate children back home. We are so blessed that we have all our needs and able to buy the things we wanted. We want to share our blessings to the less fortunate ones. We want to give them hope and help them see that life is not bad at all”. BB163 Friends in Norway has been very active in organizing fundraising activities for the benefit of the children of BB163. They had fashion shows, sports festival, Bingo-for-a-cause, singing contests and even beauty pageants. The group never runs out of ideas on how to raise funds for children in need. “We are not that rich, we even have members who are students but the time and effort that they are spending in every project is so valuable. They know that by doing so, they help save some lives,” shares Ms. Fresnedi. The group joins BB163’s community outreach programs in Manila whenever their volunteers visit the country. Just recently, some of them devoted an entire Saturday by joining BB163’s Pista ng mga Bata, a community outreach program. With the help of other BB163 donors, the group was able to reach out to 300 indigent families in three barangays in Las Piñas, Pasay and Muntinlupa. A parenting talk, medical mission and activities for children and feeding program are being conducted during COPs. 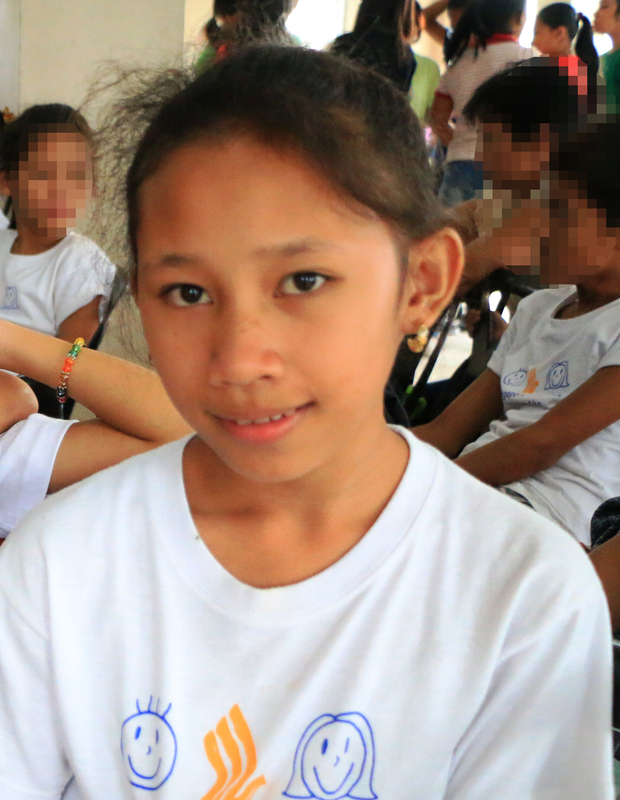 The group also visited Bantay Bata 163’s Children’s Village to mingle with the children they have been supporting. Seeing the kids only intensified the group’s desire to help. Even before leaving Manila for Norway, they are already planning their next fundraising projects. It is a commitment that the group plans to do for as long as they could. “We cannot help and save everybody but at least we help a few. We are pretty sure that these people we are helping, when they get the chance in the future to reach out and extend a hand, that’s what they will do. It will be a chain,” adds Ms. Fresnedi.